Ainslie Park was designed in 1939, immediately before World War II. Construction started before the war, but the building was not completed until after the war. The building was designed for Edinburgh Corporation Education Committee by J S Johnston. 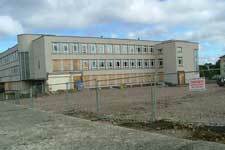 It was known at the design stage as Pilton Intermediate School. After closure as a school in 1991, the building served as an annexe to Edinburgh’s Telford College (the main building was nearby at Crewe Road South) before it relocated to a new building on the site of the former Gas Works. 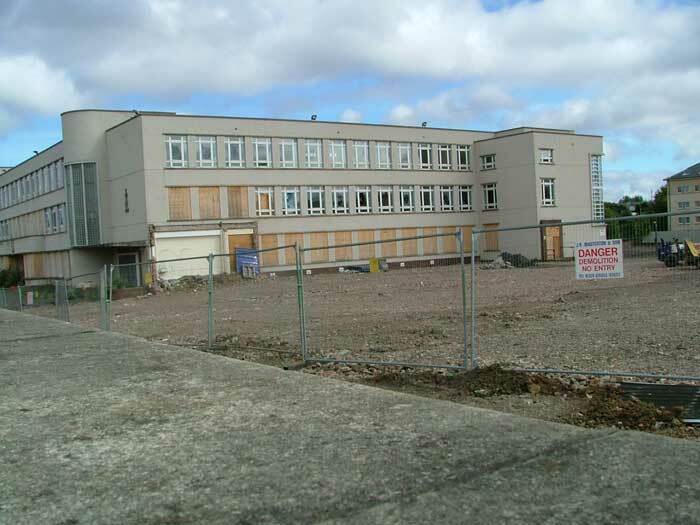 It is now being re-developed as residential accommodation, with new properties being built next to the school building. Ainslie Park Leisure Centre has recently been built to the east of the former school, but enters from Pilton Drive, not Crewe Road North. Irvine Welsh author of Trainspotting and other books.